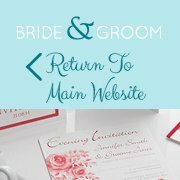 Finding your wedding dress can be as difficult as finding the perfect groom. With so many different styles, fits, fabrics and finishes it is difficult to know which style you should go for. 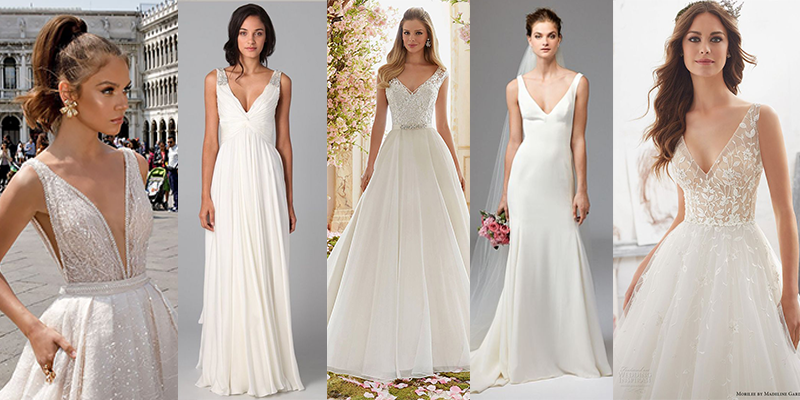 We have a simple guide to help you choose the perfect dress to suit you. The mermaid style has been a popular trend and it doesn’t appear to be slowing down! With a tight corset style top that flows into a curve-hugging skirt this dress style is perfect for the hour glass figure, and for a bride that wants to show off her curves. We would not advise this dress if you don’t want a tight dress as this style can be constricting. Find more mermaid inspiration here! As per its name, this dress style features a tight bodice that drops lower than a normal dress, and flares out slightly around the hip. This style is perfect if you want to show off your waist, but if you have a boyish figure this dress will not flatter your figure. Find more Drop wait inspiration here! 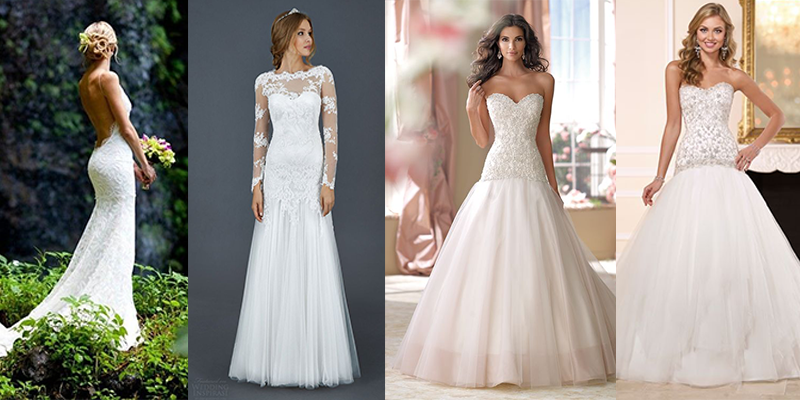 There are two styles of short wedding dresses, the 1950’s inspired and the above the knee. The 1950’s is great for those with curves and want a dress with a vintage edge. The mini length wedding dress is great for those brides who want to show their legs and go for a dress that will make an impact. Both of these dresses are perfect for more casual or weddings abroad. 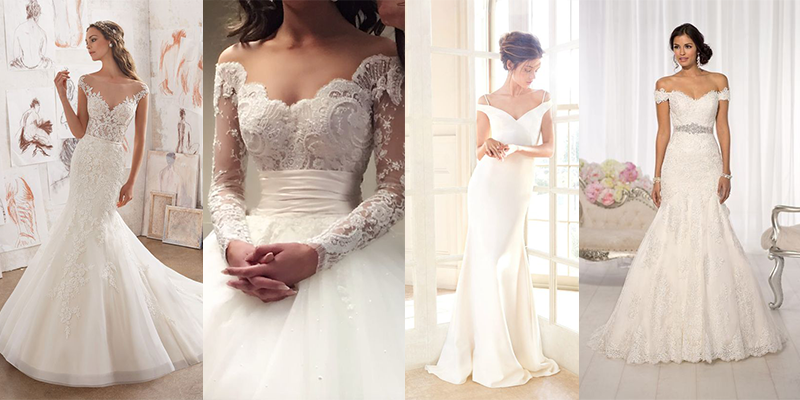 Find more short wedding dress inspiration here! 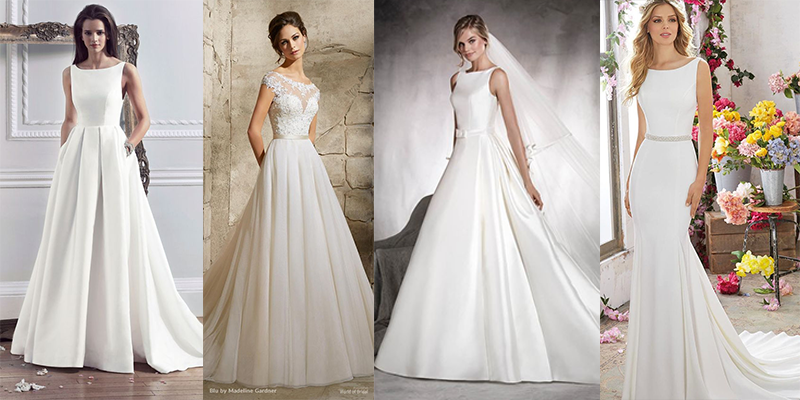 The wedding dress style is best for boyish figures as the tight waist and full skirt gives the impression of curves. We would say for petite brides to avoid this style as the volume can be overwhelming and will make you look shorter. 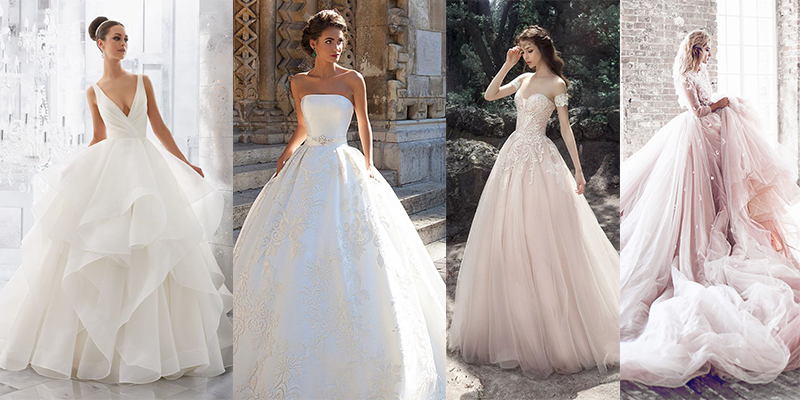 Find more Ballgown inspiration here! The long sleeve dress is perfect for those who don’t want to show their arms, or for a bride who wants something a little unusual. This style will suit most wedding dress styles and can be worn with any figure. 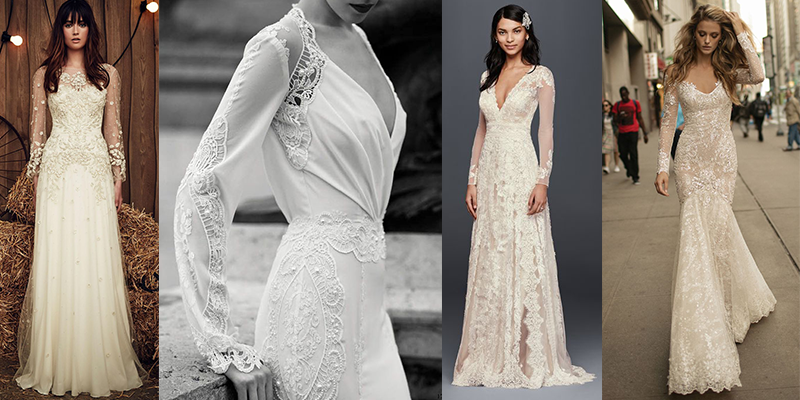 With so many wedding dress options available, sleeves can be found covered in lace, organza or simple and sheer. If you haven’t thought about trying on a long sleeve dress, try one on! 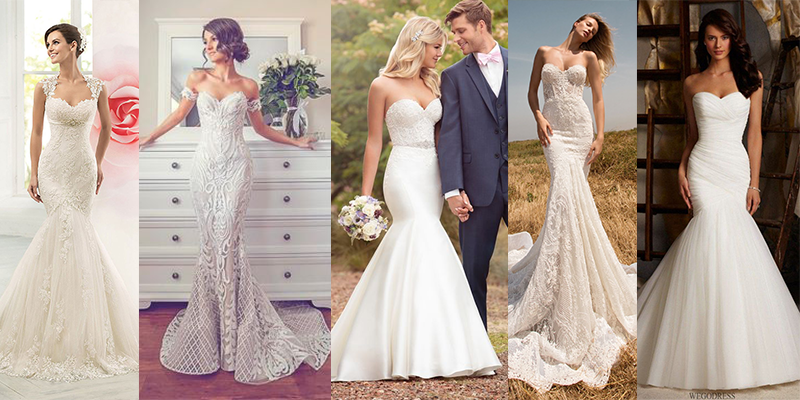 You might surprise yourself and find the dress of your dreams. Find more long sleeve inspiration here! Find more Bateau inspiration here! Find more V Neck inspiration here! Find more off the shoulder inspiration here!